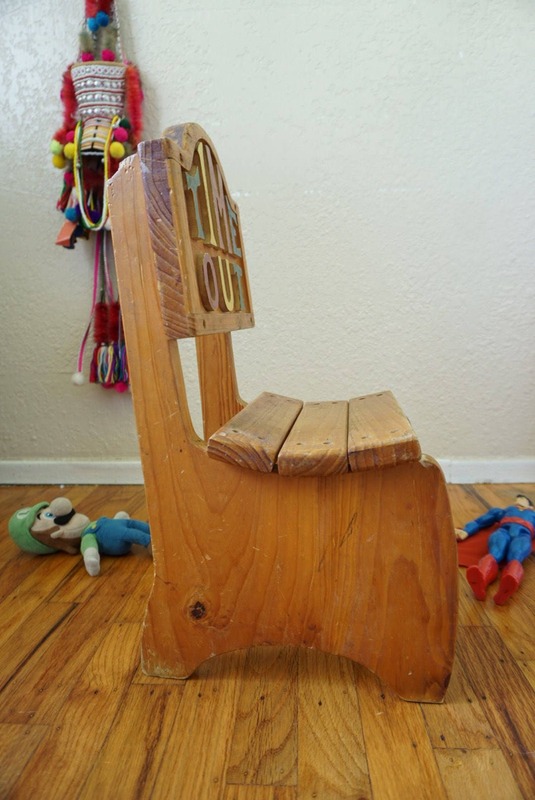 Solid wood children's chair, perfect for a toddler/kid size. 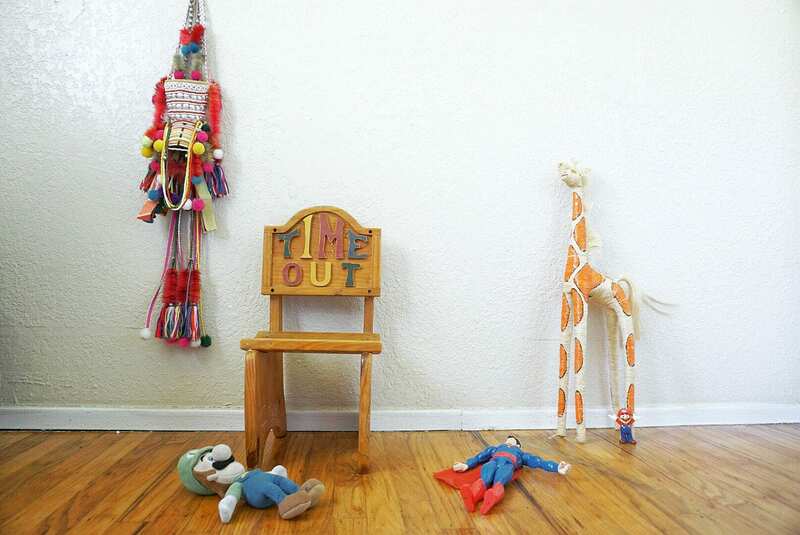 Colorful letters spell "Time Out" on back rest. 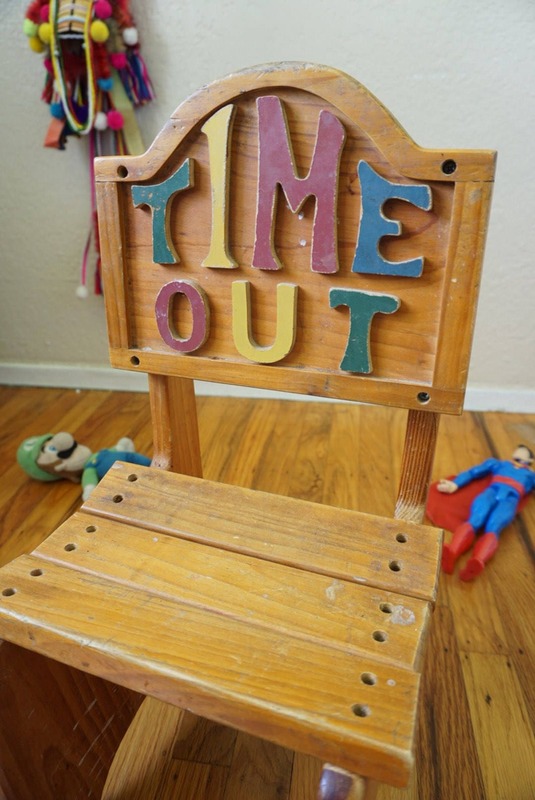 A great furniture piece for a nursery/children's room. 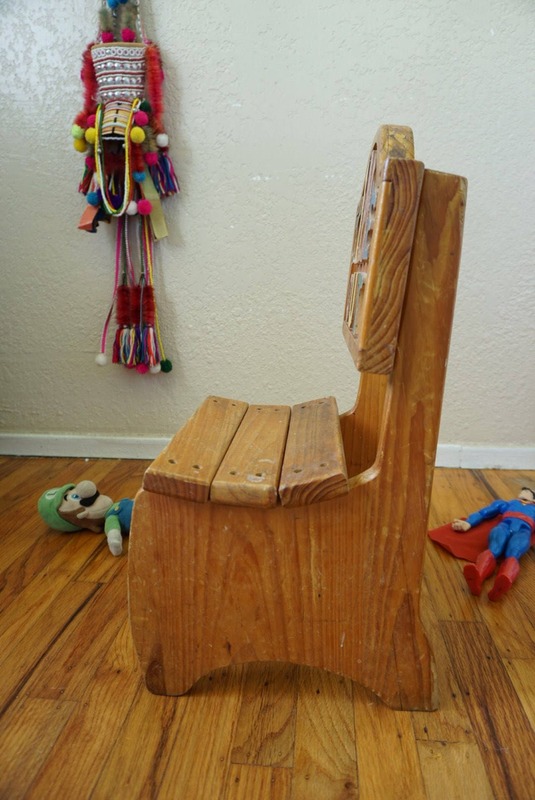 Would be a great prop for photography as well. Scratches and scuffs in various spots (see photo). 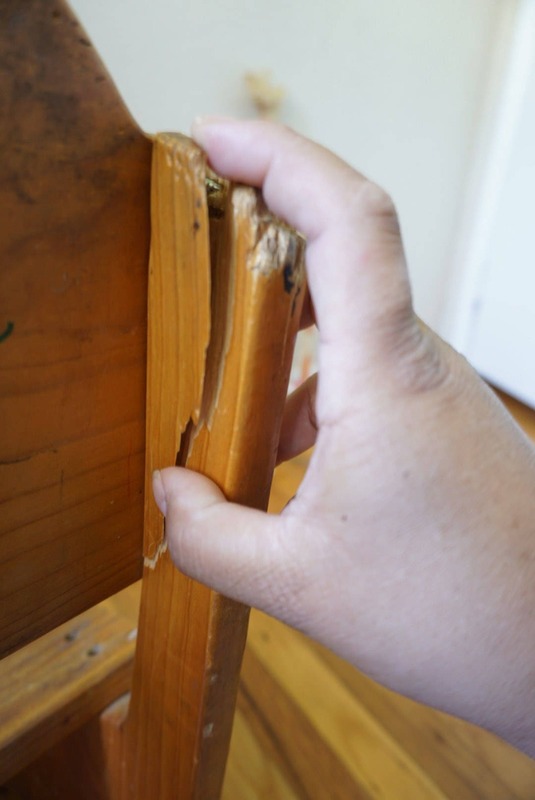 Upper back of the chair has a thick piece of wood that has splintered off, exposing a nail. Nail is still screwed in and has no structural issues. *Price is reduced to reflect flaw. ++ Please message for most accurate shipping quote to your area. ➳➳ SEND US A MESSAGE for accurate shipping quotes, combined shipping, multiple orders, or general questions.